Smoktech V8 baby Q2 replacement coils, resistance is 0.4ohm, the vertical baby beast q2 coils will bring you better taste flavor when operating at a lower wattage, can work at 40w to 80w, best work at 55w to 65w. brings you deep and rich cloud taste. this is dual coils, wicked with top-shelf pure organic cotton and thoroughly for quality so you are guaranteed the absolute best experience. 5pcs per pack. 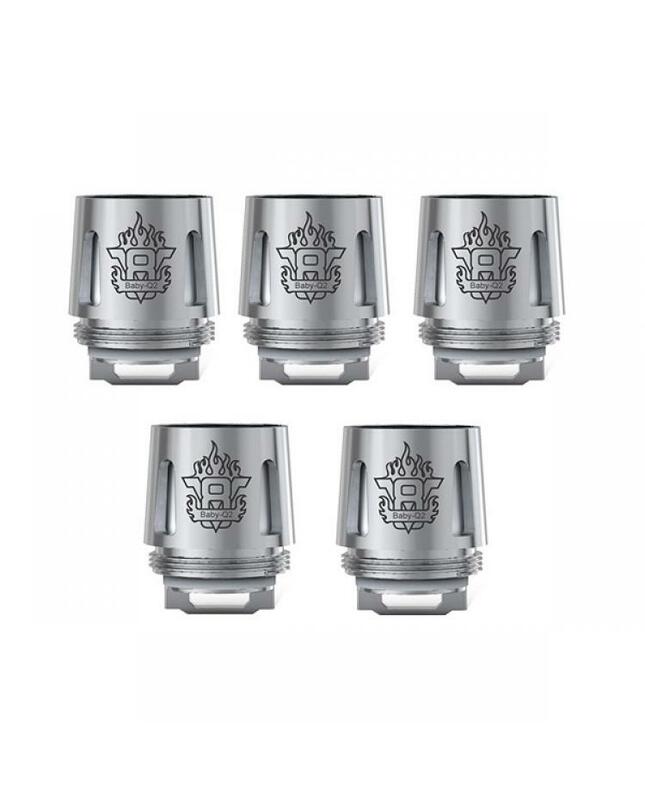 smok tfv8 big baby beast coils only can work on tfv8 mini tank and TFV8 big baby tank.